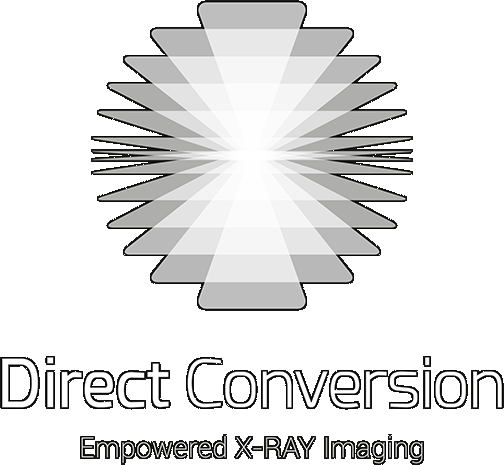 Direct Conversion is a leader in the direct conversion technology for digital X-Ray imaging, delivering detectors based on Charge Integrating and Photon Counting Technology to major global X-ray and CT-equipment OEMs serving customers from the medical and industrial markets. The Company is headquartered in Stockholm, Sweden, with a total of 64 employees in Sweden, Finland, UK and Germany. X-ray detectors (mostly embedded in OEM system equipment) are an integrated and critical part within the “x-ray imaging chain”, determining image quality and inspection speed. X-ray and CT-inspection system solutions assist customers from the global automotive, consumer electronics, EMS, industrial electronics, casting, medical and aerospace/defense industry to achieve and sustain the highest quality standards for critical parts and advanced components/materials manufactured within large-scale series production. Direct Conversion controls the whole detector product value chain and IP, including ASIC design, wafer processing, bump bonding, sensor, and final detector assembly – offering cutting-edge detectors for digital X-Ray imaging to leading OEMs on a global scale. An affiliate of X2 partnered with DirectConversion in 2017, provided growth financing and has since then actively supported during roll-out of Direct Conversion’s detector technology and customized solutions into industrial x-ray applications such as Electronics, Battery, FATP and NDT inspection via a newly established apps and tech centre platform including a dedicated team based in Munich.